Earlier this month my mom and stepdad came to visit. As all good children do we jam-packed the schedule to squeeze every ounce out of their visit as possible. With our children being in school during their visit, illnesses, and a small rash of bad weather we didn’t even come close to doing everything we had hoped. But, we did get in some of the big experiences we were hoping for. This included a visit to the Sahara desert. Believe it or not, I was the only one who had ever been – even though MarocBaba has lived here his entire life he’d never gone. It took some persuading to get him on board. The question came up, should we take the kids or not? I said yes, he said no – I won’t! I knew this was one experience that had to happen. There are a lot of people who have asked if they should do this with their kids, and what advice we would give so I hope to answer those questions. First, the issue of actually getting to the Sahara is important to consider. You can get there from Fez or Marrakech, but either way it’s a long trip. We left Marrakech, over the High Atlas Mountains, stopped in Ait Ben Haddou, Ouarzzazate, the Todra Gorges, and Dades Valley before reaching Merzouga for our desert experience. (I’ll be blogging about all those places in the weeks to come.) We left on Friday and spent that night in the Todra Gorge. 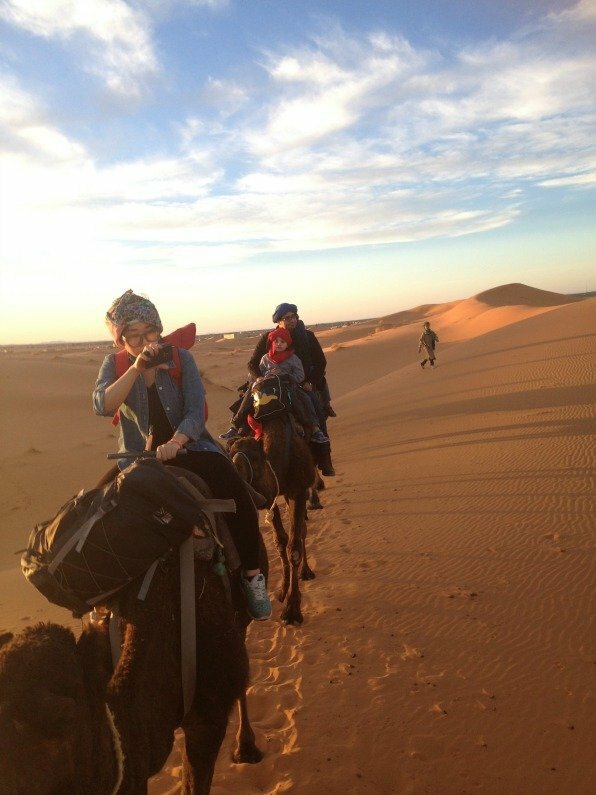 Saturday afternoon we rode camels into the desert in Merzouga to our camp. Sunday morning we were up before the sunrise to ride the camels out and drive all the way back to Marrakech. My first reflection was this; if your kids are not used to spending long periods of time in a car, this is going to be really difficult for you. My kids have spent days at a time on car rides, driving across the United States. When we were in the US it was normal to take a weekend trip 250+ miles to visit relatives. If you’re considering a Sahara visit you MUST take this into consideration. If you’re unsure how they will do, you will want to book a private tour that will allow you to stop as frequently as needed and will not put others on edge. Our tour was mixed, there was 12 of us altogether in a single minibus. (If you’re looking for a great company to help you arrange a private tour, I highly recommend Journey Beyond Travel). If you’re thinking you might just rent a car and head out alone, don’t. You absolutely should not ever go into the Sahara Desert without a guide. There are many logistics and difficult driving terrain to get to the Sahara, leave it to the experts and save yourself the stress and risk. What is included in the quoted price? What is not included? Do you actually have tours during the time we will be there and how hot is it? This is something you will want to know for summer months. Many operators do not provide services in the summer months. There is no air conditioning and it can easily reach between 100-110F during the day and mid 70’s at night. Where will we be stopping including the name of any hotels or riads? If it is not a private tour, how many other people will be traveling together? Are there any stops that have additional tours or tips that I should expect to pay? What meals will be paid out of pocket and what’s the average cost? If I don’t want to eat at the locations stopped for meals, are there other options? What are the sleeping arrangements in the desert camp? What is the full schedule of the tour, including stops, and times to arrive and leave the desert camp? Will children ride on their own camel or ride with a parent? If you have any health issues, like a bad back (me!) ask if they have a back rest for the camel for added support. Most companies are going to gloss over everything and give you the feeling that this is a luxury trip. In some instances, this may be true but you should assume it’s not. Also, like most things in Morocco price is not fixed. You will want to know all of the costs ahead of time so that you can choose the tour that makes the most sense for your family financially and logistically. Ask about different options and if you feel the price is too high you should push to get the best price possible. After my observation about the length of time we spent in the car, my next observation was about activities. Essentially you’re driving 10+ hours to ride a camel for 1-2 hours, to tents in the sand. Yes, it’s amazing, but from a kid’s point of view there isn’t a whole lot to do. Electronics are going to die, so you’ll want to be prepared with these technology free ideas. If your kids aren’t the type to spend hours without being entertained, then plan accordingly. This can be an amazing experience, or a really trying one! 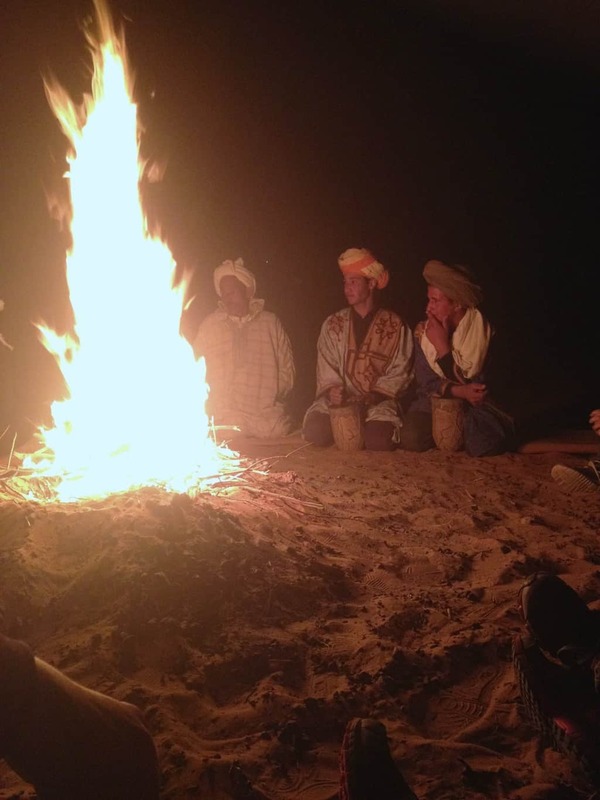 What happens when you get to your desert camp? Well that depends on the tour you’re taking (be sure to refer back to the “questions to ask” section when booking your tour.) Our experience was basic. We got to the camp at sunset. The last bit was actually in the dark. 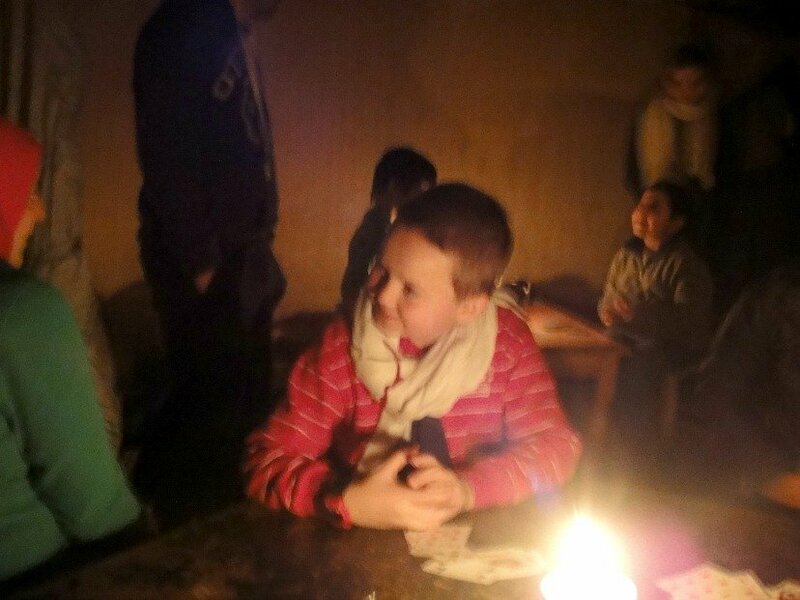 We then dropped off our bags, and spent some time in a group tent with tables and candle light. Thankfully someone had a deck of cards, so some games were played. After an hour or so it was time for dinner. This was the worst part. Both times I’ve done a Sahara trip the food has been awful. Really awful. What we ate was essentially steamed vegetables and chicken in a tajine pot. Bad, bad, bad. It was followed by oranges. I get that we’re in the desert, but it’s a short 4×4 ride and some salt, pepper, and cumin go a long way. We ate it because there was nothing else to eat. My kids are very used to Moroccan food (or Moroccan-ish in this case) so they didn’t complain too much, except to say “amitou’s (aunties) is much better.” If your kids are picky be ready for very very limited options. Bring some food with you. I had packed an insulated lunch bag with nuts, dates, apricots, oranges, and some cookies (enough for all 6 of us to eat throughout the trip). Let me reiterate, bring some food with you! After dinner we were brought outside to a fire where our guides played some traditional songs and everyone was given the chance to try and play too. Our guides were not too enthusiastic. They weren’t too thrilled about anything during our stay which put me off. Moroccans are notoriously hospitable and welcoming. While one of them was all of these things, the others were a bit disgruntled. At this point, I took K back to the tent and fell asleep. M, grandma, and grandpa went with the group and the guide for a walk where I heard they laid on a sand dune and looked at the stars. For me, seeing the stars over the Sahara is one of the most amazing things you’ll ever experience. I’m sad I missed it this time but glad they got the opportunity. Our sleeping arrangement was in one big tent for six of us. There were mattresses on the ground and blankets. It was rustic. But, I slept. MarocBaba slept with his boots on “just in case.” The most dangerous thing we encountered were the camp cats who decided to fight sometime in the early morning on our roof. Sometime before the sun rose we were woken up without any clear reason why. I assumed it was to go and see the sunrise, as that is what happened the last time I’d taken a trip like this. Oh yes, we were going to see the sunrise, on our camels. This wasn’t clear the night before and the guides rudimentary English didn’t explain it to well either. So there it is visiting the Sahara in a nutshell! If you’ve got specific questions leave me a comment and I’ll do my best to answer. 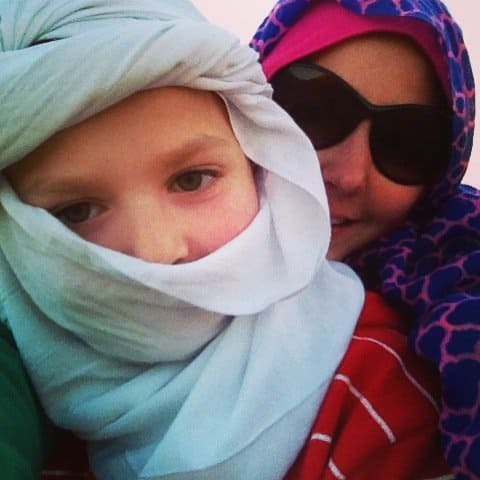 Watch here for more posts on the stops we made on our way to the Sahara and non-electronic kids activities in the next few weeks! Thanks for sharing your experience here . Family of 4 with two girls (ages 10 and 6) hoping for a once of a lifetime experience. Iddir picked us up at our riad and we spent 5 days travelling Morocco as we ventured to and from Marrakech seeing parts of the country we wouldn’t have known to explore on our own. Iddir was a wonderful guide and a fantastic driver. We missed the sunset and sunrise due to the clouds but getting up and heading out early was a necessity given how quickly the temperature rose. We arrived back to the riad with a fantastic breakfast and the opportunity to take showers. Again, Iddir was there to welcome us back and seeing a familiar face after being in the desert was great. Traveling with two girls to Morocco for the first time and this trip was a highlight. 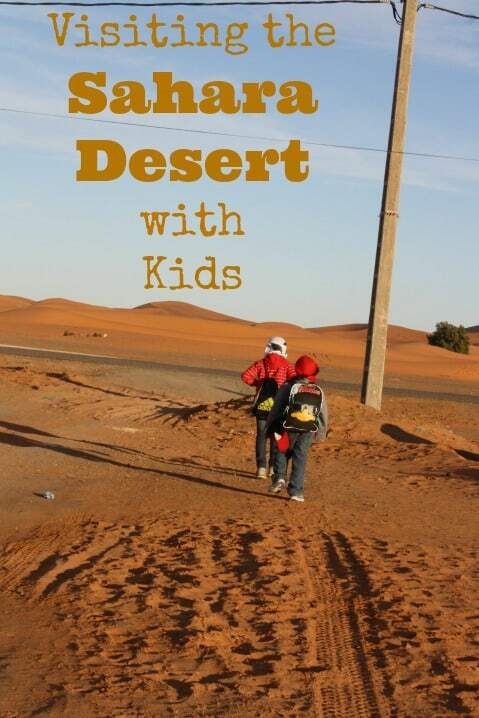 We would recommend it to anyone wanting to spend time in the desert and see the country. We especially appreciated the fun facts and the local knowledge Iddir shared with us. We felt safe the entire trip and the details were all handled. Things to note: Confirm the temperature in the desert for your arrival so you can set expectations, bring a scarf, bring wet wipes to clean off once arriving to camp, download a star app on your phone (the stars were amazing), bring a pair of shorts to change into at camp (long pants recommended on the camel). Hello! Thank you for the fantastic post. My husband and I are visiting Morocco in a month, and staying in Marrakesh for 10 days. In the middle we were debating visiting the Sahara for a 3 day/2 night trip, very similar to what you did. You mentioned Journey Beyond Travel, but your reviews of the staff and experience above are mixed. Is this the group you used? Would you still recommend them? I ask because they don’t seem to have the type of excursion you described. Really trying to find the best company/experience before we decide. Thank you! 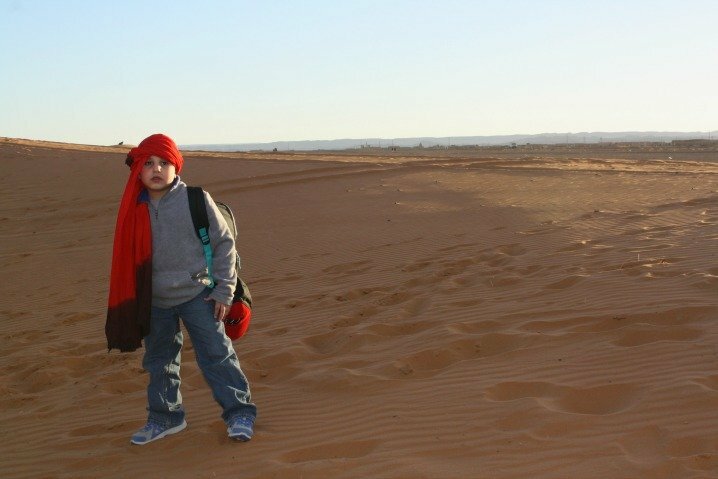 We own a desert camp in Merzouga and hence travel there with my daughter very frequently. She has been in the desert as old as just bare 6 months. It is well said that the traveling distance can be tiring so plan accordingly as it is a journey. Though a beautiful journey full of some amazing natural wonders and real wonderful Moroccan people (way big difference to Marrakech experience). If you make it to the desert, stay 2 nights and more there! Since you are traveling such a long distance and journey, enjoy it fully and don’t come in the evening and leave next morning. As mentioned in the article there are variety of camps to choose from. There are camps in Merzouga that has everything you except in any hotel room, large space, beautiful carpeting, bedding and mainly private ensuite shower. But it is not only about the tent but mainly about the whole experience the desert. During the day ride camels, go sand boarding, play table games, relax at the areas and take in the scenery and much more. We did this trip with another large family, so there were 11 kids all together — ages 18 months, 2 years, 5, 6, 8, 9, 10, 11, 12, 13, and 14! It was a great experience, but the drive was definitely excruciating! We left from Marrakech and went to Zagora. It took us about 12 hours EACH WAY, and we crossed two windy, curvy mountain ranges (Atlas and another one before the Draa Valley). It was pretty rough and the driver wasn’t helpful. Lots of car sickness, two kids vomited, twice each! We’ve been nomadic since 2007, traveled since our oldest (13) was four, driven 30,000 miles meandering from Alaska to Costa Rica, but this was one of the worst ‘travel with kids’ experiences we’ve had! But I AM glad that we did it, riding the camels, staying in the tents in the desert, eating the food and listening to the ‘tribal’ music they sang after dinner was worth it. (I rode on the camel with my 8 year old daughter and 18 month baby). However we are staying in Marrakech for 3 months so we had time to recover from it. 🙂 If you were just on a short trip it would probably be too much, especially with little ones. Thanks so much for all the details! I enjoyed your photos as well. Question: do you have any idea where we could leave our things during the camel trek so we are not trekking with all of our luggage? We are planning to pack lightly and fit all of our things in a large backpack or two. But, it still seems difficult to ride a camel with all of our stuff. Thoughts? Also, I can’t seem to find information about age restrictions for children. We have two boys (3 and 1). Do you think they are too young for this kind of thing? They are great travelers! I just worry that the tour companies will not allow them to come. Do you know anything about that? Thank you so much!! Most of the time they keep your bags for you in the vehicle that you come in. I don’t know if they have age restrictions but to be honest I don’t think i would do it with kids that young. It’s really not super comfortable on the camel and I struggled with my 7 year old at the time. It’s not so much about being good travelers as it’s just the logistics of riding on a camel. The ride is about 2 hours and I’d be afraid they would fall off as it’s quite awkward. You can take a 4×4 to the desert camp instead and just do a small camel ride perhaps to just have the experience. I am going back and forth in my mind between a half day trip to the desert and an overnight trip with the kids (mine will be 4 and 5) when we go. Ugh, the long drive doesn’t thrill me. That’s the hardest part to figure out – especially because our flight from the United States is so long. We’re going as a family in July. Honestly, the drive is the only caveat for me – decisions, decisions. Great article, great resource. Thank you. I would NOT go to the desert in July and honestly I’m not really sure if there are many treks that do go. Certainly not with young children it’s just so very very hot. This is fantastic, thanks for sharing. I definitely want to do it. Can you give me an idea of the range of prices? It really really varies. Anywhere from 400dirham a person to 4000 dirham a person. Number of days, type of accomodation, how many others on the tour will vary the price. I did read some of this long article. I am Moroccan originally. I like to tell you that you are so brave you and your family especially the young ones. Personally, i never had the idea of visiting the South of Mrocco. I am from Casablanca. Bravo!. Walaikum asalaam! Shukrun bzaf! It was an overall memorable experience. My Moroccan husband thought the same as you. I really think everyone should do it at least once. It’s really very very beautiful! Wow! What a great experience. I doubt we’ll ever travel out that way but I loved experiencing this trip through your pictures. Sounds like a great adventure! That’s an experience not to be missed when the desert’s within reach! My husband took a similar trip while posted in Libya, a couple of years before the Gaddafi regime crumbled – rolling over dunes in a convoy of three Landcruisers and camping out under the stars. I’ll never get over my envy! Great post! Spot on :). We had a great time with you all….the kids were definitely troopers! I appreciate your honesty and all the great tips you share. I would love to take a trip to the Sahara desert but I know that me being picky won’t help much specially after reading your thoughts on the trip. I do have a question were there any scorpions around that you saw or any other threatening animals? Glad you enjoyed. Like they say, you get what you pay for. If it’s important to have a high quality experience, then that’s reflected in price. As for animals – nope didn’t see any either time I’ve been to the Sahara. MarocBaba says there are scorpions (and there are in Morocco) but I’ve never seen one. Useful and honest post. 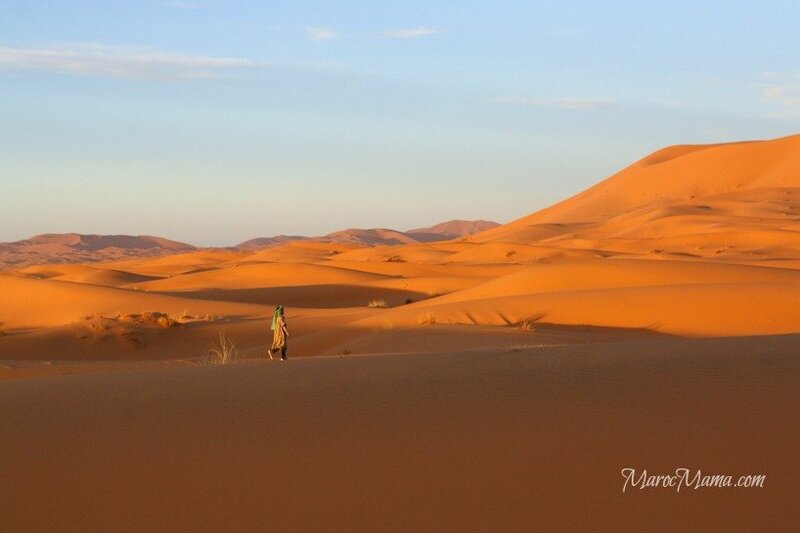 Going to Morocco soon, so appreciate your advice for selecting a tour into the desert. Hope you have a great visit – it’s worth spending the time and money for a quality experience IMO.